Innovation, Agency, Empowerment are words that should not be used lightly. 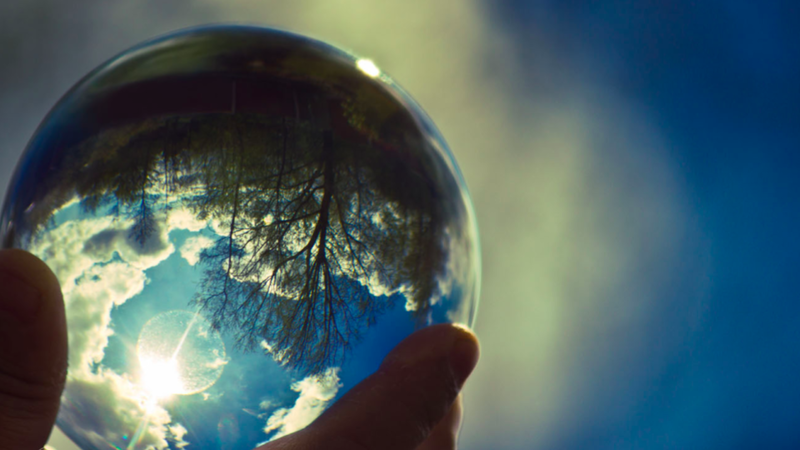 As professional educators, we believe with absolute conviction, that we can create the change we wish to see. As a School, we wish to challenge the purpose of report cards. Removing report cards would be an unwise and bold move to do all in one swoop. Therefore, we decided to explore this through a microcosm. To gauge whether our thinking, values and philosophy are in-line with being practical and realistic in terms of, if not report cards, then what? A smaller and measurable scale needed to be the way forward, a pilot. A community, place, or situation regarded as encapsulating in miniature the characteristics of something much larger. We have created a microcosm, a small world where we have brought parents, teachers and students together to pilot a new initiative in PREP from March until June, of this year. Our own inquiry into: How can we effectively provide meaningful, dynamic and timely feedback that causes thinking and promotes learning and growth together? We invited parents to Look 4 Learning as an authentic opportunity to see learning in action. Parents recorded what they heard and saw and then shared their discoveries, questions, concerns and connections. We weren’t telling parents what we do (that’s blind trust) we were showing them what we do everyday and who their child is at school, where they spend most of their day, and young lives. As a school, we have gone through a grueling process of establishing expectations around report cards and how best to meet the needs of our community as far as a formal document goes. We keep simplifying and seeking ways to satisfy parents in terms of what they know and have experienced in their schooling life. We explained to parents the ‘input’ (time) vs ‘output’ (impact) aspect of what is involved in the process of writing report cards. They got it. Great! They understood that the time it takes to write report cards, is time taken away from doing all the other things that has a positive impact on learning, without sacrificing the learning conversations, planning, pedagogy, data collection……… Report cards is a static point in time, let’s use dynamic ways (Seesaw) to document learning and provide feedback that encourages and support the learning process. The idea around what does authentic feedback mean and how feedback should cause thinking become the focus of the conversation. 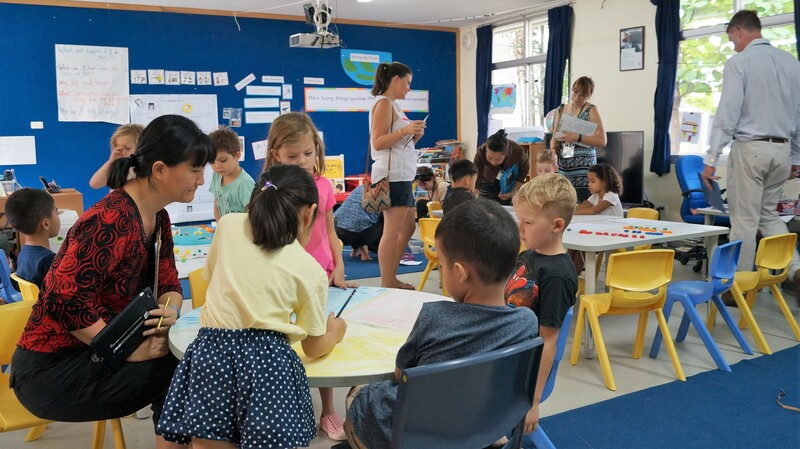 How can we create a solid partnership between parents, teacher and student to develop shared goals where it is valued in the learning process become important too as the discussion evolved. The power of partnering with parents and teachers led to a deeper understanding of the importance of creating a situation where ‘really’ knowing our students is central to what we hope to achieve everyday. Knowing where they are in their learning and planning for that process of what needs to happen inspires effort and attitudes towards learning which is incredibly motivating for all stakeholders. Over the next 4 months we are going to put report cards on hold and pilot what we believe to be a more effective and meaningful approach in understanding our students as learners and provide balanced authentic feedback. 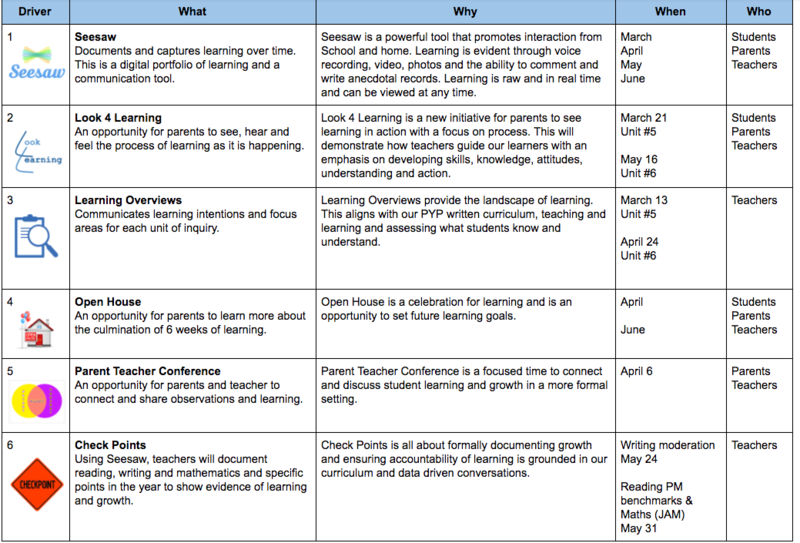 We have developed six drivers to provide feedback to students and parents that promotes richer and deeper conversations about learning and our learners. We will review and evaluate the effectiveness of this pilot in June with our parents. Where could this lead? We don’t know and we’re not meant to know just yet. We find that quite liberating and exciting! Why do we have reports? We have to do and be better. If it is a formality to facilitate the process of a student moving from one school to the next, that’s not good enough. We can work around that. We’re in education! Our parents are with us. They are in with two feet and we’re open to see where this all goes. We think we have the right balance between being authentic, informative and also ensuring a deep sense of accountability and responsibility in doing these things well. Where did all this inspiration come from? From Alan Atkisson and Sam Sherratt. They were the sun providing light and energy in us asking, Why and Who are we? We accept the challenge to innovate, lead change and transform to impact and ripple out! Out of touch traditions and norms must be challenged and at-least a re-think should occur. Who are we and who do we want to become? 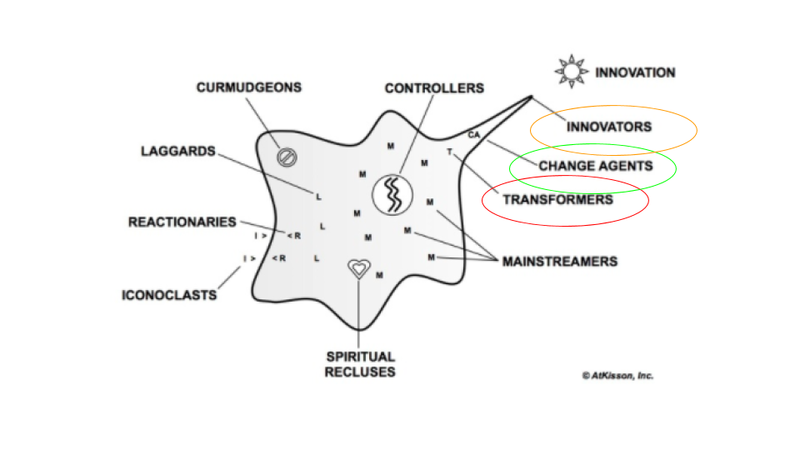 The Amoeba of Cultural Change should be happening from, and out of, Education. We should be setting the scene for change and leading it. Education has been idle and mainstream for too long. There are some great things happening out there in schools. We need to connect and explore ideas together to reach a tipping point for others to follow, and then lead from the front. Walking the walk, now that is a school I want to be part of. We’re on our way! Who are you in the Amoeba? Where do you get your light and energy from to shake education up and try something new? How do you cultivate change in your school? It may be because of standardised testing. It may be because it is confused with archaic habits like marking. It may be because of its relationship with reporting. It may be because it often has little or no effect on learning. It may be because it often remains hidden from students. It may be because methods are unsophisticated and/or don’t represent the types of learning valued by modern educators. It may be because it is subjective, biased or even prejudiced. It may be because it can be time-consuming. It may be because it gets used against teachers, and even students. The problem is that, as we reject all of the forms of assessment that seem devoid of purpose, value and ethics, we risk not replacing them with forms of assessment that do have a purpose, that do have value and that are ethical. It is very easy to reject things, but it is hard work to design better alternatives. Often, the void that is left behind by the rejection of something can be just as harmful as the thing itself. Sadly, the origin of the word is not helpful. Originally associated with calculating how much tax people had to pay, assessment has come to signify “the act of making a judgment”. Neither of these have any place in education. No wonder it doesn’t feel right! So, why are we still using the word? I’m not going to pretend to suggest a better word. Lots of people have already done that. But, assessment lives on and may – either present or absent – be damaging learning. I suggest that educators take the time, put in the thought and make the effort to define why students are learning what they are learning, how they may be learning and what they may be doing when they are learning. I suggest that educators design effective tools and strategies that will illustrate learning to their students, guide students as they seek to make progress, help them become aware of their achievements and identify next steps. I suggest that educators make these tools and strategies highly visible to students, co-create them with their students when possible, and make reference to them and reflection through them a regular routine. I suggest that educators seeks ways to involve parents in these processes, helping them understand how their children learn and how they can be part of it. I suggest that schools seek ways to communicate, share and celebrate what is revealed by these approaches as they are likely to be much more accurate representations of learning, and of growth, than other forms of assessment have been for years. I suggest that we commit to doing these things with a genuine sense of urgency as traditional forms of assessment, or nothing in their place, are continuing to hold us all back. It all sounds quite obvious, really, but this is how we represent, value and promote growth. We don’t do those things through judgment, but neither do we do them by saying “its all in my head”. For a start, thats not true. But also, if its in your head then your students can’t see it, and they deserve to see it. It is, after all, their learning.